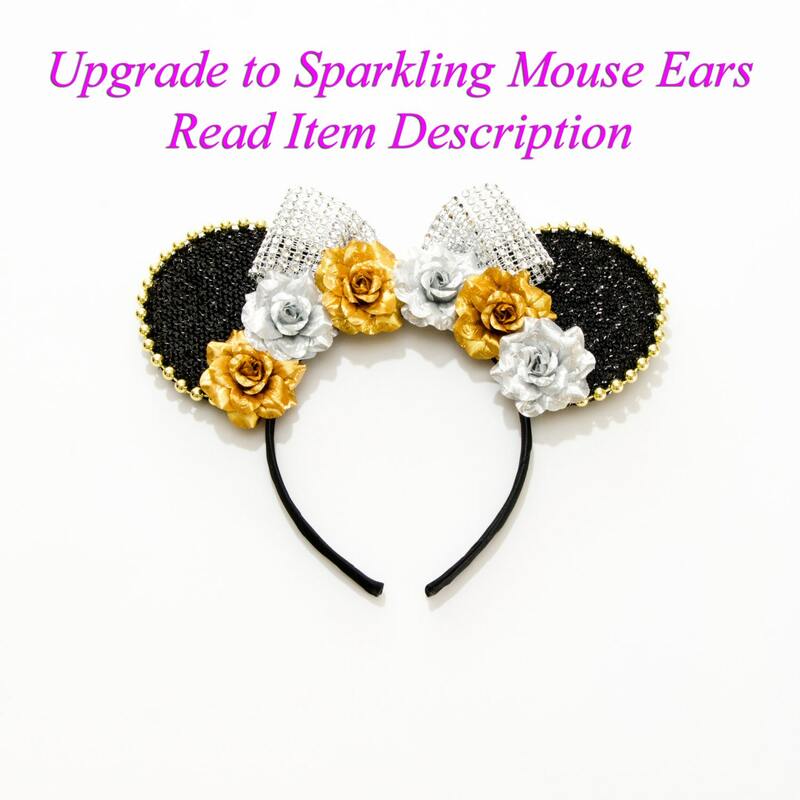 You will adore this Kitty Katrina Nanny Poppins Mouse Ears Headband! This beautiful headband features a handmade white bow overlaid with Mary Poppins silhouette character detailed ribbon, along with red roses; white daisies decorated with faux red berries, and dark blue satin bows (see image). 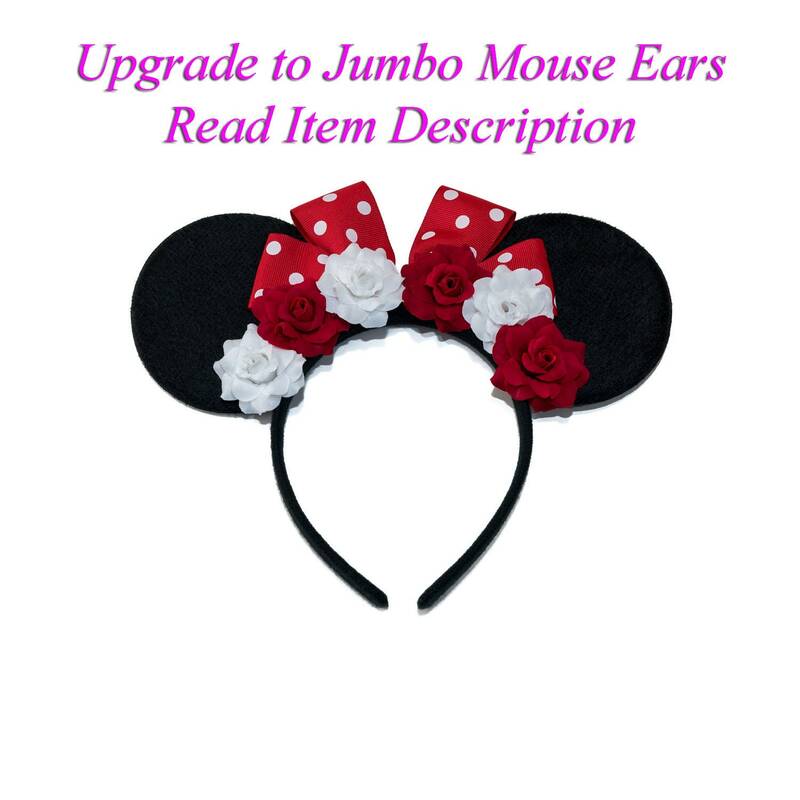 These ears are so beautifully made & arrived VERY quickly! She even included a little bonus daisy hair clip! 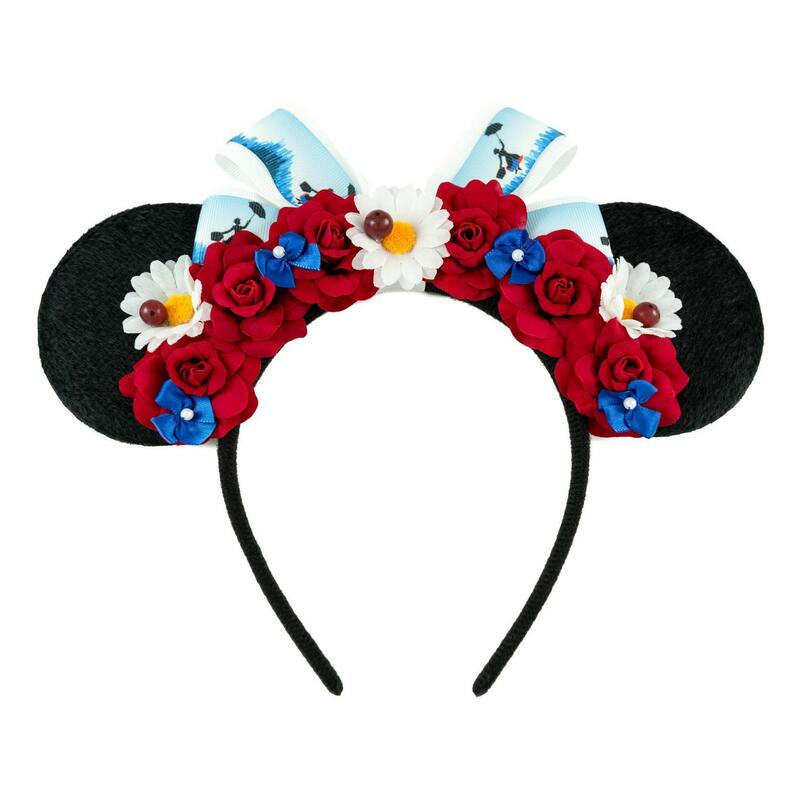 I'm a huge Mary Poppins fan & I can't wait to wear them to Disney World in a couple months! Thank you so much!